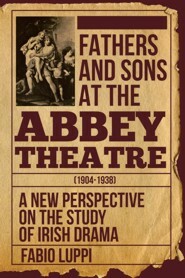 Fathers and Sons at the Abbey Theatre demonstrates how the literary archetype of the clash between fathers and sons and the subsequent depiction of anti-oedipal figures become a major concern for the playwrights writing in a specific and crucial moment of Irish history (1904-1938). The father can be conceived both as a historical / political metaphor as well as a real father in a specific historical and social context. The classical models employed as theoretical tools to nuance the argument--Laius and Oedipus, Ulysses and Telemachus, Aeneas and Anchises, Priam and Hector, Hector and Astyanax--are challenged by the Christian example of Abraham and Isaac, subversively adjusted by Yeats to provide a tragic reading of post-colonial Ireland. All of these pairings provide archetypes for the understanding of complex personal and familial dynamics. The book takes into consideration not only the most famous figures of the Irish National Theatre--as W.B. Yeats, J.M. Synge, Augusta Gregory, and Sean O'Casey--but also overlooked authors such as T.C. Murray, Padraic Colum, Paul Vincent Carroll, Lennox Robinson, Denis Johnston, George Shiels, St. John Ervine, Teresa Deevy. Many commentators have written about the playwrights of the Abbey Theatre, mainly focusing on politics, social classes, Irish identity, cultural issues, and linguistic aspects: no thorough analysis of the clash between generations has been published so far. Those who have tackled the issue have devoted their attention to a single author, or to a single aspect; this study aims to demonstrate that the repeated occurrence of anti-oedipal figures and of the archetype of the clash between fathers and sons?a clear manifestation of the need of emancipation from oppressive authorities and of change in Irish society?must be read as a common phenomenon and as a shared concern. The book is written for people interested in Irish studies, post-colonial studies, and theatre studies. Fabio Luppi. Adjunct professor at Universita degli Studi Guglielmo Marconi. Obtained a Phd in Comparative Literature at Universita Roma Tre (2008). Gained a short term fellowship at the Folger Shakespeare Library (2014). Author of the book, Cerimonie e artifici nel teatro di W.B. Yeats (NEU 2011), co-edited Agostino Lombardo's Cronache e critiche teatrali 1971-1977 (Bulzoni 2007), Barbara Arnett Melchiori's Shakespeariana (Bulzoni 2016) and an issue of Joyce Studies in Italy (The Difference of Joyce, Edizioni Q, 2015). Published articles on Irish, British, and Italian writers, such as Joyce, Yeats, Banville, Keats, Shakespeare, Pirandello, Montale, Manganelli. His main fields of interest are Irish studies, post-colonial studies and Jacobean theatre.